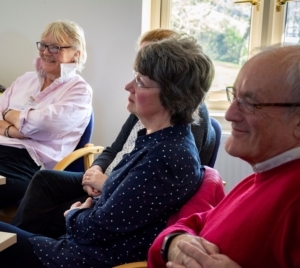 Our comprehensive training programme is giving High Peak residents skills and knowledge to support local patients in the comfort of their own homes. We are continuing to recruit community volunteers, to offer practical and emotional support and companionship, including providing breaks for family members or carers, and helping with simple household tasks. 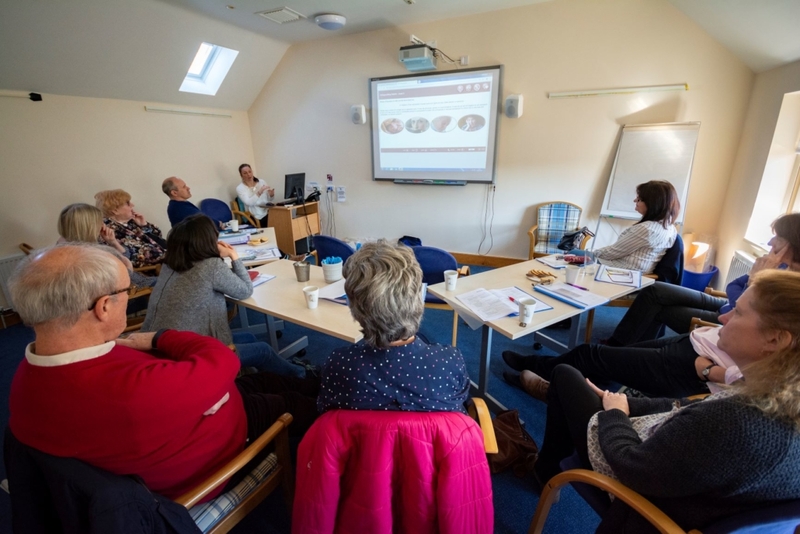 The next volunteer training programme is set to begin on Thursday 2nd May, facilitated by experienced Blythe House clinicians and counsellors, covering topics including volunteering in the home setting, confidentiality, safeguarding adults and children, loss awareness, bereavement, boundaries and self-care. There are currently 15 volunteers who are trained to support patients residing at home, along with their carers and families. Andrew Foreshew-Cain completed the community volunteer training in March and said: ‘I heard a lot of positive things about Blythe House and its work in the local community, and when I met people there, I found a place with a generosity of spirit and heart that was attractive, and which I wanted to be a part of. Margaret Charlton added: ‘I have always liked to do something useful in the community in my spare time and when I moved to the Peak District seven years ago, everyone suggested I go and volunteer some time at Blythe House. From the moment I stepped inside, I knew how welcoming and friendly it was, and how immensely satisfying volunteering here would be. I just wanted to do my bit to help in whatever small way I could, and with volunteering, you always get back more than you give.